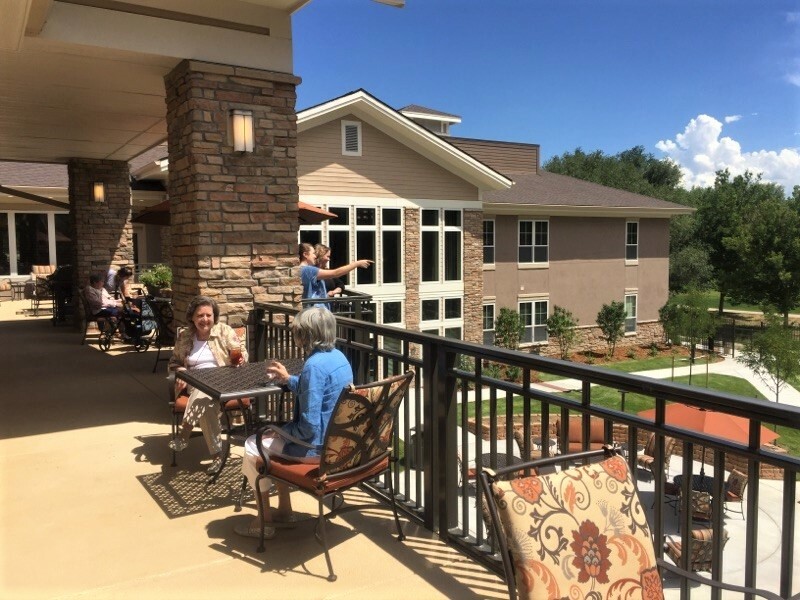 Assisted Living residents enjoy luxurious, spacious apartments with the perfect balance of assistance and independence. All of the amenities and luxuries are designed to encourage resident independence in conjunction with 24 hour supervised care. You can choose from one of our many stimulating daily activities or just relax and take in the beautiful views. Our Memory Care residents thrive in our supportive, secure environment with a variety of design features tailored to those living with cognitive challenges. Consideration is applied to recreational and social activities based on each resident’s ability to participate. Our Care Staff delivers physical care, emotional comfort and a daily celebration of life. A personal health assessment from our Health Services team will provide you with the exact care plan you need that could include medication management, assistance with dressing, grooming and showering/bathing, continence care, assistance with transfers, escorts, cueing, reminders and more. Created by the team that develops many of Denver’s award winning kitchens, our boutique dining experience is designed to exceed your expectations. Our chef designed daily menus include the freshest ingredients served in the warm, elegant atmosphere of our dining room, the casual Bistro or outdoors on our scenic dining deck. Daily activities engage residents with a creative, cognitive, and social outlet. Options include projects in the art studio, indoor concerts performed by local musicians and group trips to local events and shows. Housekeeping and laundry services are just two of the many amenities that come with your residency at Cherry Hills Assisted Living and Memory Care. Dedicated aides will efficiently tend to your laundry and you will also have access to 3 community laundry rooms. More and more research shows a relationship between green space and higher levels of mental health. And the contentment benefits increase when living in a park with large trees. Imagine living in deKoevend Park, a safe and beautiful open space that supports a variety of community activities from sports to cultural events. The High Line Canal trail extends from the park in many directions for a closer connection with nature. If you prefer to stay close to home, our secure, private outdoor courtyard and gardens provide plenty of open air overlooking the park. Our residents may stroll safely on site with paths meandring gently throughout the gated community.